Do screens protect from UV rays from the Sun? 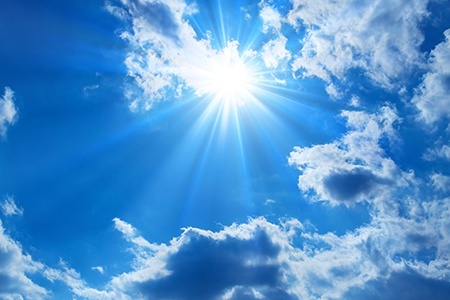 Spring has sprung on us here in Florida, and with it, some of the not so “fun in the sun” dangers of overexposure to the sun’s harmful UV rays. Fortunately, for those of us who have discovered the benefits of screen enclosures, we’ve learned how to beat the heat while enjoying the great outdoors…..and we’re doing it in style! While some sun exposure is beneficial to your health by providing a natural source of Vitamin D to the body (which aids in the absorption of calcium and phosphorus - essential for healthy bones), overexposure to the sun is nothing to rest on your laurels about. Deterioration of the skin, including premature aging and loss of elasticity. Screen enclosures are available with various degrees of protection against harmful UV rays. Solar screens block UV rays all year long while keeping your home’s temperature cooler, lowering your electric bill by lowering your need for air conditioning and even adding extra protection against wind. Quality Screen & Aluminum is a family owned and operated business located in Leesburg, Florida. Our mission is to provide 100% customer satisfaction by offering quality materials, creative designs, expert craftsmanship, timely service, reasonable prices and the very latest trends. We are an Accredited Member of the Better Business Bureau and carry an A+ rating with them for being a trusted and a reliable business. We also have gained the reputation for being a company that provides excellent workmanship and the utmost attention to details in all of our products. For over ten years, Quality Screen & Aluminum has been the premier screen enclosure source for Lake & Sumter County and the surrounding area in Central Florida. Our experienced team of designers will create an enclosure to fit your vision and your budget, and you can take comfort in knowing we use only the highest quality materials and skilled craftsmen who are dedicated to excellence. Additionally, many of our products come with a limited lifetime manufacturer’s warranty, providing you with worry-free enjoyment. Beautifully crafted screen enclosure designs, pool enclosures, screen repairs, re-screening, front entryways, birdcages, gutters, fencing...Quality Screen & Aluminum is your one source for all your screen enclosure needs. Blake Keedy is the business owner and he represents all the leadership qualities you need demonstrated to ensure customers are delighted in home renovation. Go with Quality Screen and Aluminum Inc. In June Blake's design, experience and insights were invaluable to us. We chose Blake to design, construct and deliver his seasoned project management of our screened front porch, our new birdcage and all season glass enclosed lanai. You will be excited and kept informed every step of any project you do with Blake Keedy. Blake navigated permits , product delivery ensuring ongoing project progress and we trust him wholeheartedly. Our screen enclosure look just like the day it was installed. Many around us don't. Thanks for the Quality job. Thank you for the beautiful screen room. Blake listened to what I wanted and help us to decide and deliver exactly what we wanted. Great experience, installer very efficient and professional. I highly recommend this company. Tidying up around the house usually involves some vacuuming, dusting, cleaning on and around all types of furniture throughout your home. There is sometimes one spot that doesn't always get the attention it needs though, and that's furniture you have outdoors. There are all different kinds of outdoor-specific furniture you can set up outside and not have to worry about too much. But when it comes to taking care of it, what is the best process? 5 Reasons to Screen In Patio. There's nothing more relaxing than being able to sit out on the front porch or patio area and enjoy some fresh air. Along with that, there's nothing more annoying than having that peaceful time interrupted by some unwanted flying pests - or maybe even something bigger! This is one of the main reasons why it's not just a good idea, but an important idea to make sure your patio is screened in. Keep scrolling, and you'll find a list of the top 5 reasons why you should screen in your porch or patio, and you'll be glad you did! Quality Screen and Aluminum, Inc. THE VILLAGES® is a registered trademark of Holding Company of The Villages, Inc. Quality Screen and Aluminum, Inc. is not affiliated with, or sponsored by, Holding Company of The Villages Inc. or its affiliated entities.